A ruby red wine well balanced and full of flavour and freshness. With its brilliant ruby colour, it moves gracefully in the glass. The bouquet is bur-sting with pleasant aromas of crisp marasca cherries, wild roses and hints of liquorice and pink pepper. On the palate, it is agile, well balanced, and full of flavour with a rich freshness, calling to be drunk again and again. Corvina 50%, Corvinone 30%, Rondinella 20%. IT MAY CONTAINS SULPHITES. Abv 12.5%. 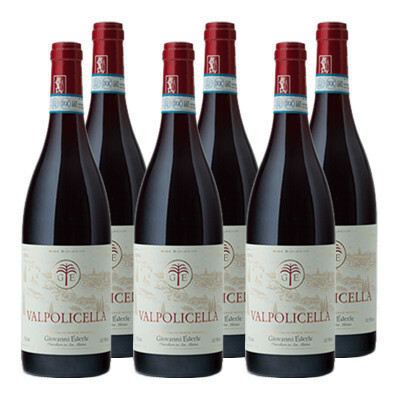 This wine is an easy-to-drink making it perfect for many occasions and dishes: from deli meats and cheese, to fresh pasta with meat sauce, not to mention grilled meats.